I love pictures of us in transit. So often we just take out the camera for the moments that happen once we get there. When I find these images from the plane/train/car, I feel like those are the moments we have so much more often, but actually don't usually have documented. 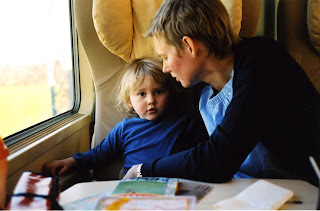 Here, we are on a train between the Dordogne region and Paris.